The Catholic Diocese of Baton Rouge established a new Parish on the edge of a growing residential area of the city, which required a new 22-classroom elementary school with associated support buildings. 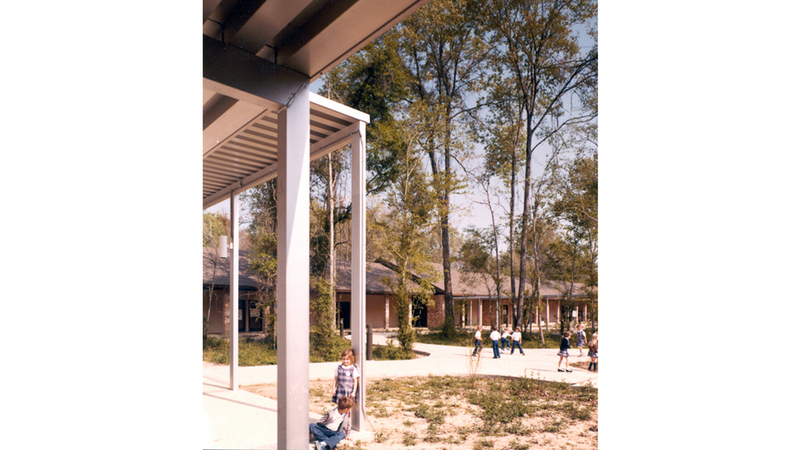 The design concept included a group of classroom wings surrounding a wooded courtyard with an easily accessible administration/library building "floating" within the courtyard. At one end of the courtyard is a multi-purpose building including space for dining, activities, kitchen and a small chapel. The entire internal perimeter of the courtyard was lined with a single loaded gallery, allowing for covered pedestrian access to all buildings.